Harvey, B.D. and Brais, S. (2002) Effects of mechanized careful logging on natural regeneration and	vegetation competition in the southeastern Canadian boreal forest. 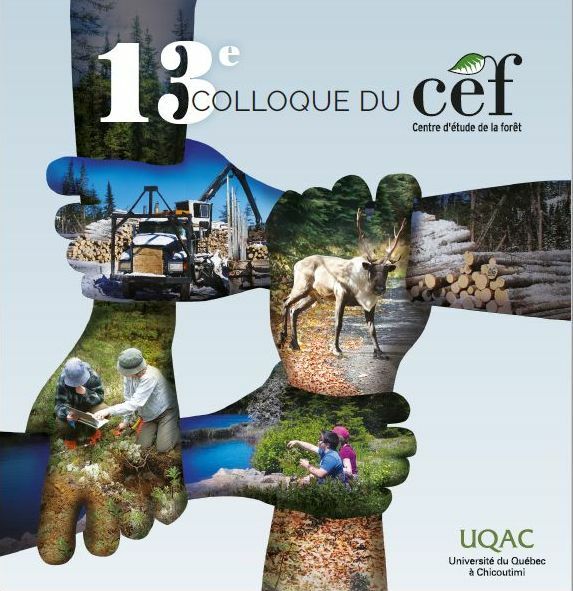 Canadian Journal of Forest Research, 32(4):653-666. Careful logging regulations in Quebec restrict circulation of harvesting	and forwarding or skidding machinery to evenly spaced, parallel trails,	which creates a particular pattern of disturbed and relatively undisturbed	zones in cutovers. A 7-year monitoring study was established to evaluate	the effects of careful logging on vegetation development in the southern	boreal forest of Quebec. A total of 255 sample plots (2 m2) were	located in seven cutovers in predominantly black spruce (Picea mariana	(Mill.) BSP) forests that were whole-tree "careful logged": 120 on	fresh to moist silty clays or silty clay loams and 135 on dry to	fresh loamy sands. Three microsites were sampled: skid trails and	the edge and the centre of protection strips. A gradient of disturbance	from the skid trail to centre of the protection strip was evident	for finer textured sites. Careful logging resulted in high densities	of black spruce and balsam fir (Abies balsamea (L.) Mill.) (> 20	000 stems/ha each) in the protection strip. Survival of other understory	species was also favoured in protection strips. Higher disturbance	levels in skid trails favoured establishment of larch (Larix laricina	(Du Roi) K. Koch), raspberry (Rubus idaeus L.), and graminoids. Reduction	of ericaceous cover occurred in skid trails on coarse-textured sites	but was only temporary. Softwood stocking 7 years after harvest (based	on 2-m2 plots), ranged from 69 to 74% on fine- to medium-textured	sites and from 31 to 51% on coarse-textured sites. The pattern of	vegetation development created by careful logging has important implications	for silvicultural decisions and stand modelling.